The event has a $20,000 prize fund based on 230 paid entries with $16,000 guaranteed. The event has 7 sections: Master, Expert, Class A, Class B, Class C, Class D and Class E. All sections have either 3-day (March 8-10) or 2-day (March 9-10) schedules to play in. Last year winner of the main Master section was Enrico Sevillano. Class A Section (1800-1999): $1500-800-400-200. Class B Section (1600-1799): $1500-800-400-200. Class C Section (1400-1599): $1400-700-400-200. Class D Section (1200-1399): $1200-600-300-200. Class E Section (Under 1200): $600-300-200-100, trophies to top Under 1000, Under 800, Under 600, Unrated. Agoura Hills is a city in Los Angeles County, California, with the population of 20,330. 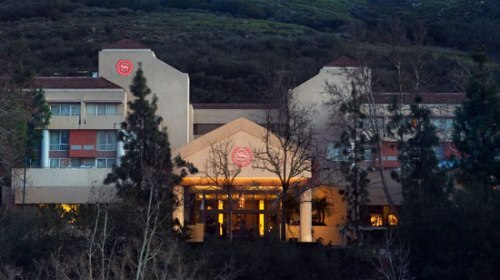 It is located in the eastern Conejo Valley between the Simi Hills and the Santa Monica Mountains.